All sinks are not created equal! 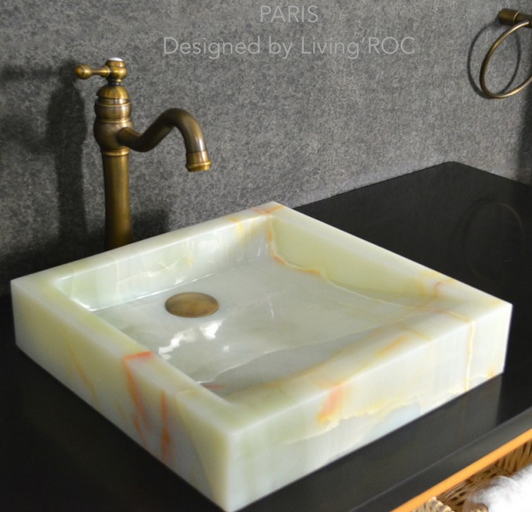 Here at LivingRoc we only use granite, all natural stone. Granite can resist scratching, chipping, and can withstand heat. Add great value to your home and it will make a difference. 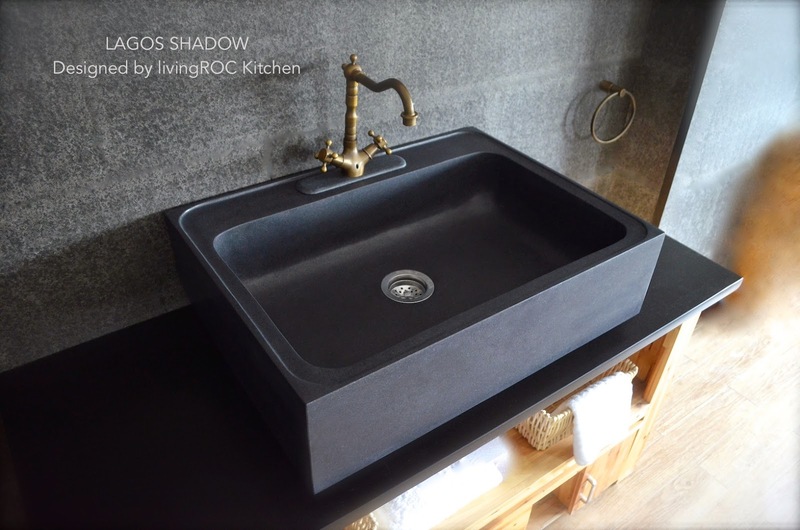 According to our projects and fitting constraints you will be able to choose sinks which can be fitted or just installed on a custom-made piece of furniture. Have a glance into our Granite Kitchen sinks. 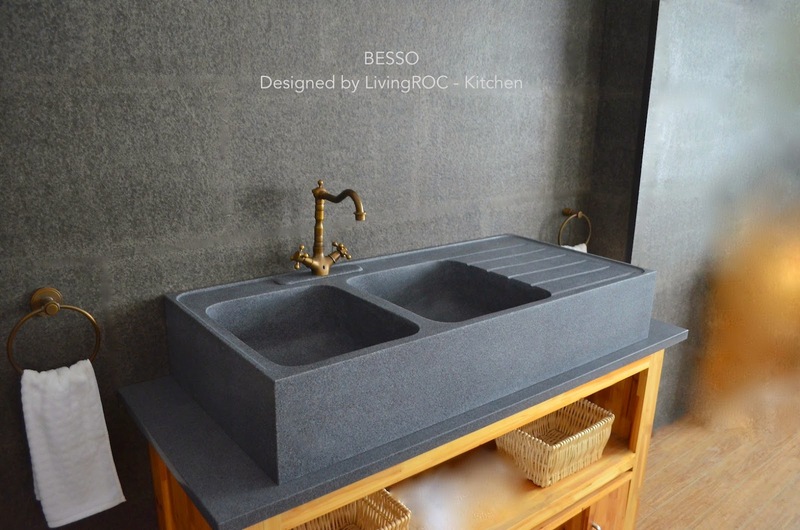 Our BESSO is a farmhouse style kitchen sink with a large grooved drying rack, made in genuine high-end trendy gray granite. Equipped with two deep large bowls you will appreciate the simplicity, beauty and practicality combination as well as its smooth and matte finish Besso will give. Looking for a smaller model with a single deep bowl? LAGOS SHADOW at 30''x22''x8" has been designed to last a very long time, giving you a great level of resistance and easy maintenance. 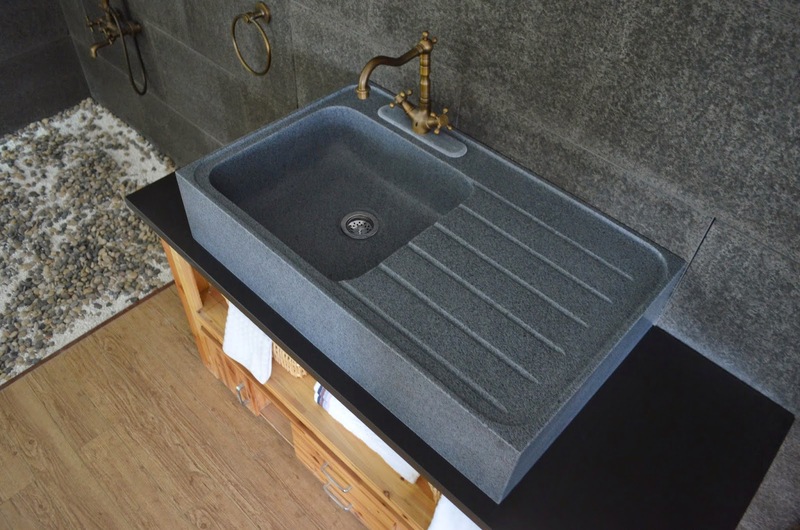 Can you imagine having a granite stone kitchen sink. With a large single tank and slightly inclined as to not hold water. NORWAY creation is delivered without a drain , This model is ready to use. Come see our natural stone products, we are sure to have what you are looking for. Visit us online at LivingRoc.net. Thanks for sharing this with us! Some really amazing ideas. It’s really helpful people needing information on this topic. All the best guys Thank you for your post. This is excellent information.